Let's be honest here for a second, only shady dealings ever go down at a castle's port. Need to fence some goods? Trade some poor soul into slavery for quick cash? Find a rogue to do your evil bidding? Look no further than this city's local docks. Builder Becheman has been on a tear lately with his Lands of Roawia contributions. 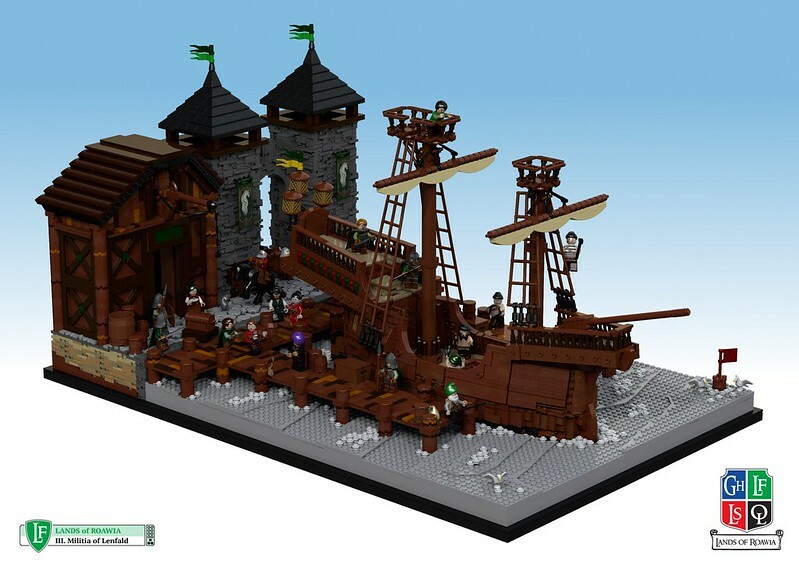 This specific build features a well-built cutter and a small section of the city docks. While I am not a huge fan on the bley colored water style, it has been growing on me lately, especially when the builder is trying to express a gloomy feel to the creation.